You know that other Final Fantsy game that was revealed at this year’s E3? It actually sounds pretty damn interesting as its director reveals. The game forever known as the one they announced right before the Final Fantasy VII remake. World of Final Fantasy has an admittedly adorable trailer, with chibi characters and characters with chibi (“small”) monsters on their heads. But aside from what we already know, the game looks to have a lot more depth. The twin protagonists of the game will be able to switch from normal-sized mode to chibi mode in the game. Depending on their size, they can either pile on larger monsters they’ve captured/befriended or have smaller monsters pile on top of them. Of course, while merging to form a stronger unit Devastator style sounds appealing, Chiba did note that there are advantages to remaining separate. “When fighting separately without piling, you have up to six characters at your disposal, allowing for more actions.” he explained. Piling up and separating in combat will be possible which will add a tactical element to combat. Enemies will utilize the nosé nosé system as well, making them more difficult to defeat, but Chiba revealed that it will be possible to break apart a piled unit by the use of specific abilities. Obviously, enemies will be able to break a player’s pile as well. 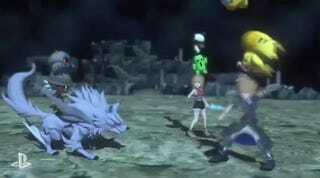 The game will also feature two types of summons. The first is called a Mega Mirage Summon (monsters in World of Final Fantasy are called “mirages”) which is similar to the summons from Final Fantasy X where a powerful monster is summoned to fight in your stead. The second type of summon is the Savior Summon where you will be able to call on characters from various other Final Fantasy games to aid you in battle. According to Chiba, the game is only about 30 to 40% completed. “The system itself is in the tweaking phase. It’s at the level where some parts are rather playable.” Chiba remarked that development for World of Final Fantasy has been smoother than anything he’s ever worked on in his 22 years in the industry. Apparently, in terms of content, the game is looking to be about the length of Final Fantasy Type-0 or Final Fantasy XIII. 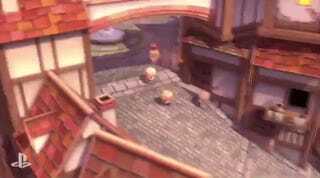 Aside from his darker, more mature games, Chiba also worked on the Gold Saucer area of the original Final Fantasy VII and noted that he hoped to bring some sort of minigame element to World of Final Fantasy. 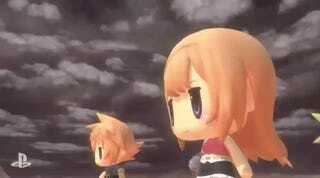 World of Final Fantasy is scheduled for release on the PS Vita and PS4 in 2016.